The Semex Jersey On Farm Challenge is a competition which attracts a large number of competitors each year. Jersey NZ is very fortunate to have and acknowledges the support of Semex New Zealand as major sponsors of this competition. 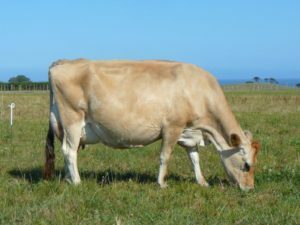 Judged on-farm, a different Jersey NZ judge travels in December each year to view teams of animals put forward by members of all regions. 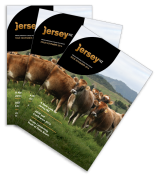 At the conclusion of judging, the results are analysed by the Jersey NZ office, regional and overall winners confirmed and the results announced at the Jersey NZ AGM & conference held in May 2019. Competition entry forms and rules are found here. National conformation winners receive $300 for first, $200 for second (in each class). Youth prize for each age group class presented to the highest placed animal in each class with an owner aged 30 or less: $100 per class.